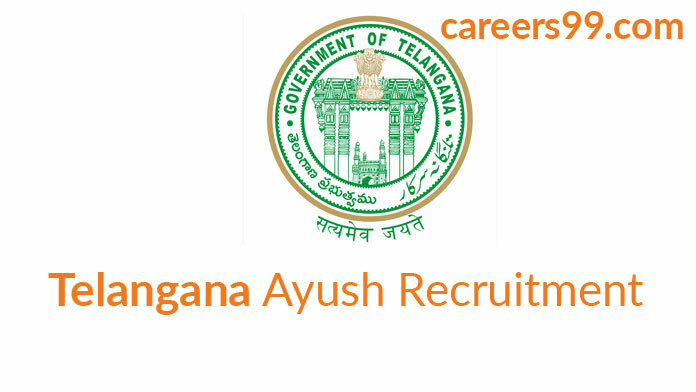 Telangana AYUSH Department Recruitment 2018 – Apply Online for Medical Officer MO, Lecturer Posts: Department of AYUSH Telangana (Telangana AYUSH Department ) has advertised a notification for the recruitment of 117 posts of Medical Officer MO, Lecturer vacancies. Eligible candidates can apply online from 05-09-2018 to 15-09-2018. Other details like age limit, educational qualification, selection process & how to apply for Telangana AYUSH Department Jobs are given below. Interested Job Aspirants who are ready to apply for Department of AYUSH Telangana 2018 Notification must possess the below-given Eligibility Details. Interested candidates those want to apply for Telangana AYUSH Department Medical Officer MO, Lecturer posts should have completed Degree in Homeopathy, Ayurveda, Post Graduate Degree in Unani from Recognized Board/University. for MO: Must possess a Degree in Ayurveda awarded by a University. for MO: Must possess a BHMS degree for the posts of Medical Officer (Homoeo). for Lecturer Homoeo: Must possess a Post Graduate Degree in Homoeopathy. for Lecturer Unani: Must possess a Post Graduate Degree in Unani. Selected candidates will get INR 37,100 to 91,450/- by the Recruiting Organization. First of all, Open Official Website i.e., ayushrect2018.telangana.gov.in or Below Mentioned link from careers99.com Website.